Offering finance positively influences your customers' purchases. Attract new customers, close more deals and increase average order values by up to 25%. Payments are guaranteed once the customer has signed the customer satisfaction note. Vendigo's automated solution does the chasing for you so no more chasing customers, unpaid invoices or bad debts. Providing flexible payment options improves customer affordability and strengthens your relationship with them. Happy customers mean better business. Vendigo merchants on average increase CSAT by 10% by using our service. Differentiate your business from the competition. Offer customers a compelling reason to buy from you. Fill in the contact form and our friendly merchant services team will help you get started. Registering can take as little as 10 minutes! 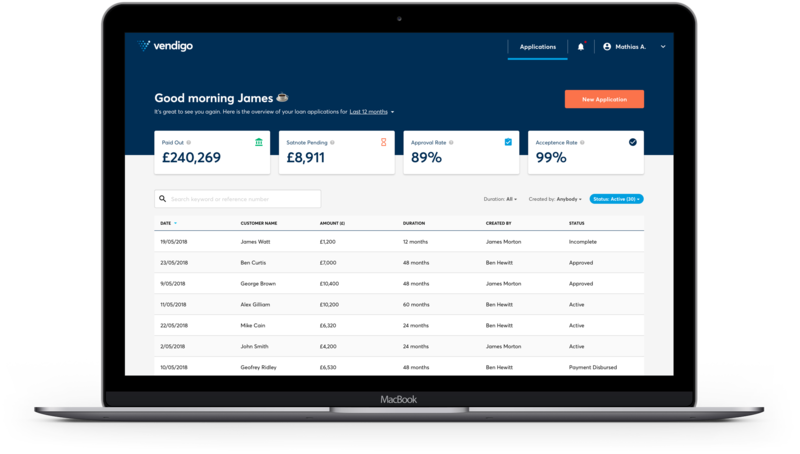 Customer credit applications take under 2 minutes, with credit decisions in under 10 seconds. So before you know it the deal is done, a happy customer equals a happy you! Once your customer has e-signed the Vendigo Customer Satisfaction Note the funds are disbursed immediately to your bank account. "When we started offering finance back in 2016 it was mainly driven by customers requesting more flexible payment options and competitors increasingly offering financing. However, during the first few years we were only able to offer a 19.9% APR product due to the high costs of the lower APR products available through the provider we had at the time, which put off a lot of customers." "The way Vendigo uses the electronic satisfaction note is a massive game changer. We’re engineers, not admins, and we don’t want to spend our day chasing customers and payments. With the Vendigo satisfaction note we simply call up the customer, tell them they have received it on their email, and they can sign it in 10 seconds. It’s a far better experience for them and it saves us a lot of time and money." 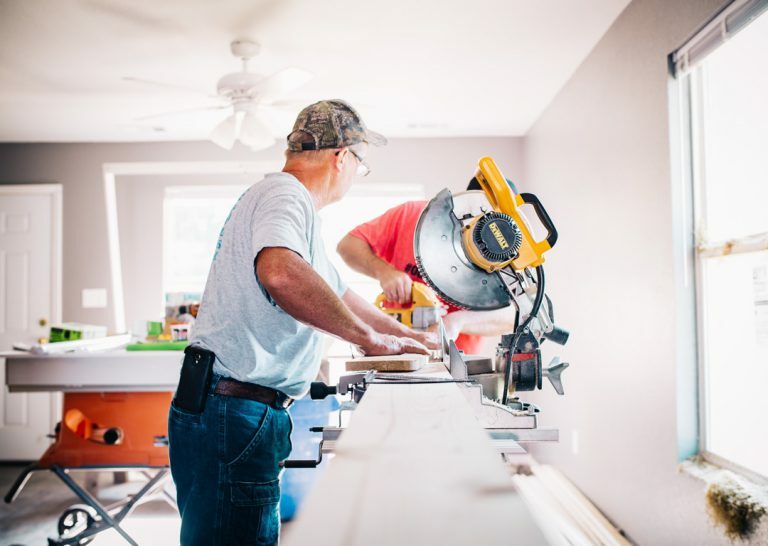 Vendigo provides a hassle-free solution that enables home improvement businesses to introduce finance in the home, over the phone, via email or in store. Merchants can create loan applications in under 60 seconds and customers can complete and get a response from a panel of lenders in under 3 minutes. The funds are sent to your bank account within 24 hours of the customer signing the digital customer satisfaction note. What verticals does Vendigo cover? 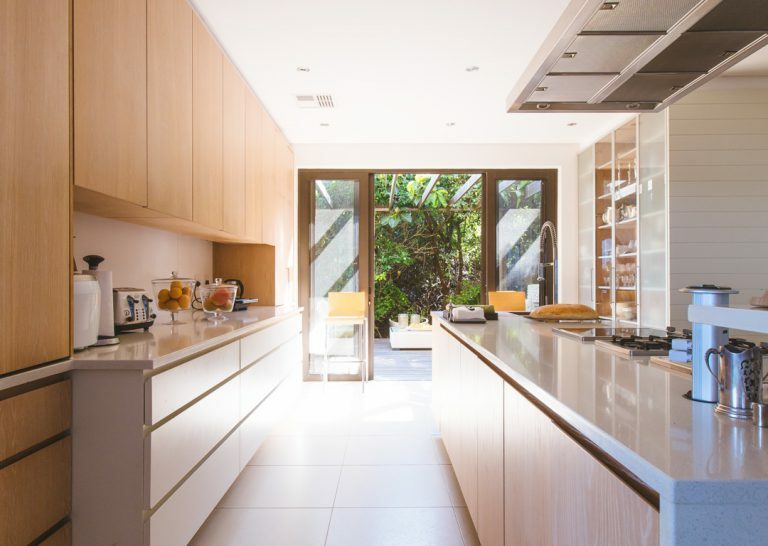 We cover the breadth of the Home Improvement industry. However, we don’t support today the financing of renewable energy goods/services. Can I still take a deposit? Yes. You can take a deposit of between 10% and 50% of the total cost of the goods/services provided, but it is not a requirement. Do I meet the criteria to use Vendigo? We would like to work with all merchants, but our lenders have a few criteria. Your business needs to have 2 years worth of accounts and be on the way to hitting £500,000 in annual turnover. Still unsure if you meet the criteria? Take our Pre-Approval form and find out! Do I need to be regulated by the FCA? You do not have to be FCA Regulated to work with Vendigo. There are a number of options available to you. Please reach out to the Vendigo sales team to learn more. What loan products and terms can I offer my customers? Our minimum loan amount is £1,000 and capped at £50,000. A basic principle to understand when thinking about the costs associated with offering finance to customers is the following, the lower the APR to the customer the higher the subsidy cost (fee paid by you, the merchant). Therefore it’s safe to assume that interest free-credit is the most expensive loan product but it’s also a very attractive offering to customers. Therefore it’s important to balance the effectiveness of the loan product and its cost. Our sales team would be more than happy to discuss costs and return on investment further. Do I get a personalised Vendigo Dashboard? Sure do! We have designed a dashboard so you can easily add users, create new loans, keep track of existing loans and a lot of other cool features to help you grow your business! You can create a loan in seconds and either send it to the customer or complete it with them on any device. It takes 60 seconds for the customer to apply for the loan and they get a response within minutes. See how easy it is to create a loan and sent it to the customer and how to complete it with them. Our advice would be first and foremost to contact the lender who provided you with the loan, however the Vendigo team is always on hand to help, where possible, if the lender is uncontactable. Below you can find the different contact information for each of active lenders. If your lender is unable to sort your query please reach out to us directly on support@vendigo.com or call 0203 965 0996 and we will be happy to help! What information should I provide if I am referred? On the rare occasion that you may be referred by one of our lenders you will receive an email from us containing the information/documentation that the lender requires to get you approved. However in certain scenarios the lender may request a certified copy of each of the aforementioned documents. It means that a qualified independent professional must validate the authenticity of a document. The list provided below is a list of professionals who are allowed to certify photo ID and address proof on behalf of our lenders. ‘I certify that this is a true likeness of (title and full name) and I have seen the original document’. ‘I certify that this is a true copy of the original document’. In both scenarios the lender require the person certifying the document to provide the below information so they can contact them if there is a need to do so at a later date. It is essential that each document provided is certified as they will be unable to accept a covering letter for all documents. The person certifying the documentation must not be a relative and must not be part of the application in the form of a joint account holder, director, shareholder or any other link that could create a conflict of interest. Give us a few details about your business and we’ll contact you with more information about our consumer finance options. By submitting the above information, you accept that Vendigo can contact you with marketing related material.